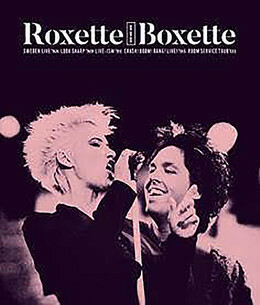 The demand to see Roxette’s complete Borgholm gig(s), recorded on 25th-26th July 1989 is h.u.g.e. There is an evergreen discussion among Roxers since the ’90s and we just can’t conclude what might have happened to the recorded materials. 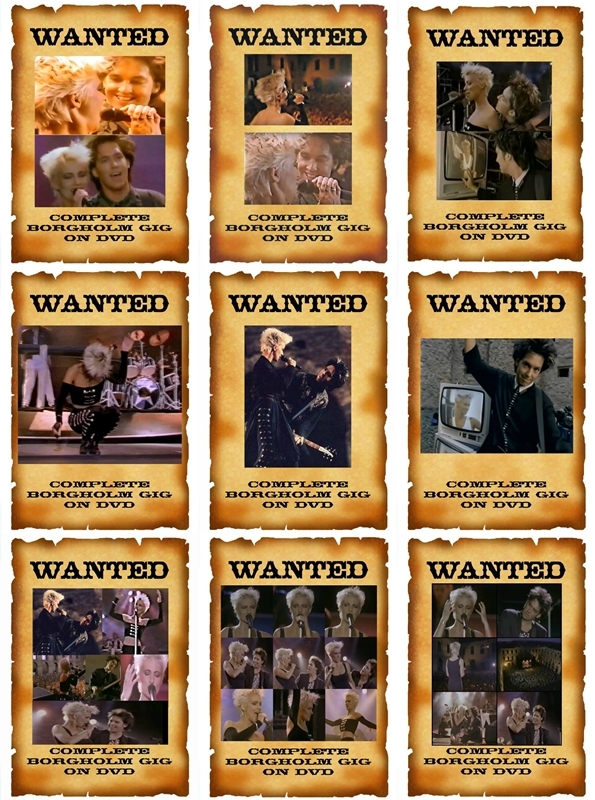 Collage of some WANTED pictures shared during the flashmob. 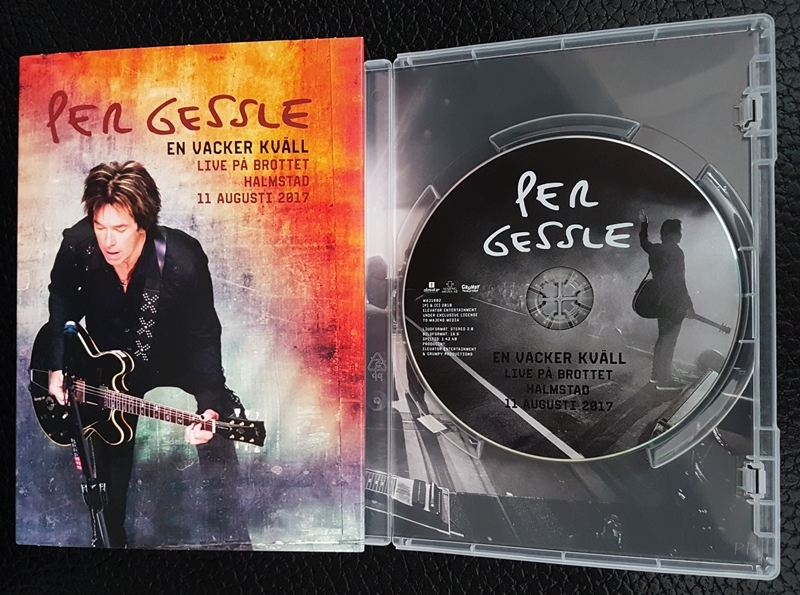 The discussion started again during the last days of December when Sandra Knospe came up with the idea to organize a flashmob to show how many of us want the complete Borgholm gig on DVD. The plan was to post one or more screenshots of the live scenes that are already available of the Borgholm shows. The idea was of course supported by tons of us Roxers. 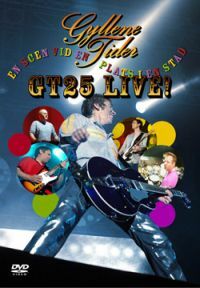 Sandra created a cool ”WANTED – Complete Borgholm gig on DVD” background pic on which anyone could insert their own preferred Borgholm live stills. Those who were more into completely ready stuff either reposted others’ pics or posted the well-known What Do We Want meme generated by Zoltán Dúl stating ”Who are we?” ”Roxers!” ”What do we want?” ”The full Borgholm-gig on DVD!” ”When do we want it?” ”For Christmas 2017!” Clear messages on both types of pictures. We had been waiting impatiently for the time (2nd January) to come when we could all ”spam” Roxette’s Facebook page with our pics. If you check posts by others on the page, you’ll see that quite some Roxers joined the flashmob. We all love such happenings. To help the team what to look for in the archives, Tomasz collected all possible live performances worth to release in an article. It seems that the mess still couldn’t be sorted out completely, however, according to the rumor TDR shared there will be a DVD box including ”Sweden Live! 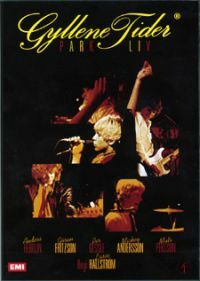 (Norrköping 1988), Look Sharp Live (various 1989), Live-Ism (Sydney 1992), Crash!Boom!Live! (Johannesburg 1995) and Room Service (Stockholm 2001) from the Telenor webcast” without extras. Last June when we interviewed Per, he still couldn’t tell us details about the DVD project. All he could share was his thought that ”the first things that should be made available are all those old live VHS-tapes and DVDs that’s not around anymore”. Since most people nowadays don’t even have a machine to play VHS, it’s always nice to see old materials being released on DVD. Blu-ray is in this case out of the question, as those old tapes are probably not of real high quality for a BD release. But ”just” re-releasing old stuff is a bit sad. We are sure there is more to include. Back to the original topic, Borgholm. What happened to the live recordings? Has there ever been a complete recording? Of both Borgholm shows and rehearsals maybe? Or was it just some footage we could already see in this or that video and on Look Sharp Live VHS? Nah… with such technology back then, shot by an American crew it’s impossible. There must have been a complete recording. Or if not complete, there is surely much more than what we could see so far. But where is that material hiding? Deep down in a cellar? Is it lost? Did the tapes get burnt? Or? Just for the record, we are happy with any raw cut material as well. It would look sharp as an extra in the DVD box. 😉 Haha. Until we find out what happened (hope dies last…), you can still enjoy these videos and keep your fingers crossed: Listen To Your Heart, Dangerous, Paint, Dance Away, Cry, Silver Blue. P.S. 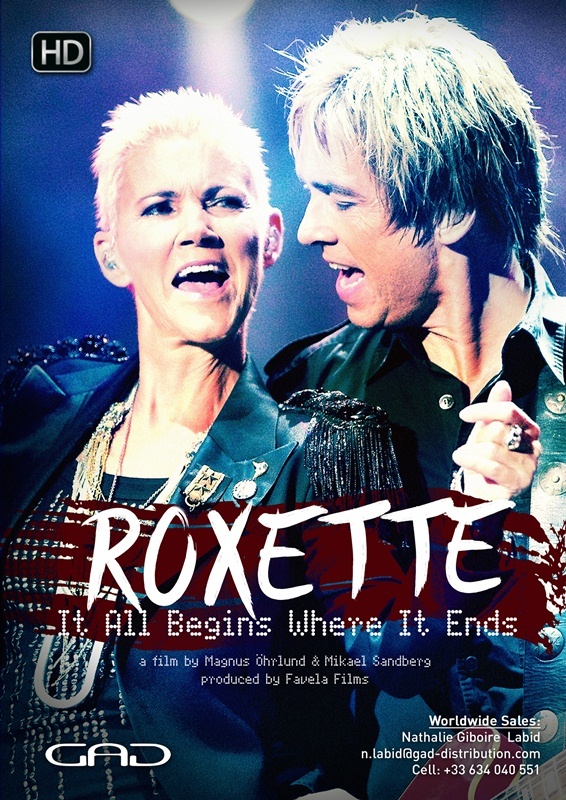 : Borgholm being such an important place in Roxette’s history, we are very happy about the fact that at least Per will play there this summer on his solo tour. As Per posted about it some days ago, Roxette was on a secret mission at X-Level Studios. However, the studios got a new name, it’s the earlier EMI studios in Skärmarbrink, Stockholm where Roxette, Per, Marie and GT worked a lot over the years. The legendary studio complex has been regarded as Sweden’s top music studio for 50 years and been a prime location for some of the biggest music names in the world. 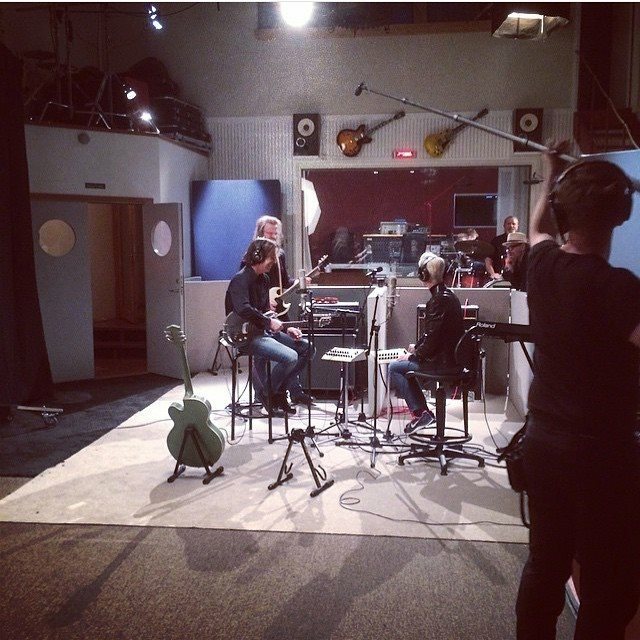 Roxette (who recorded most of their albums here) were back to film a very cool thing that is coming out soon. 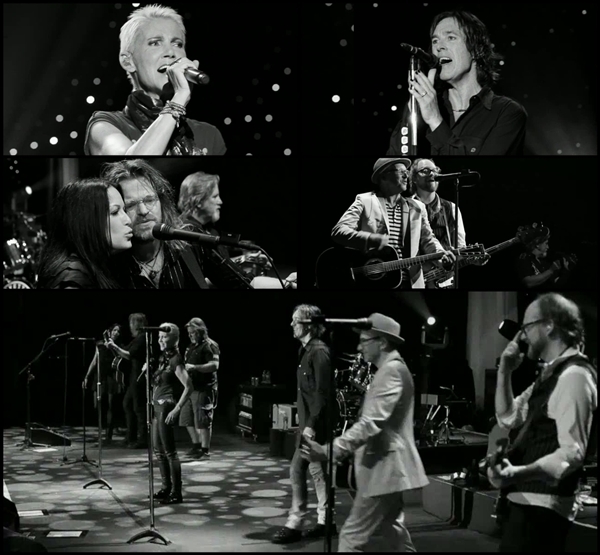 Roxette Cafe did a little investigation and found out that Legends Of Rock did a live recording at X-Level Studios, kind of an exclusive show for 50 guests. They filmed it together with interviews with the band members and planned to release it as a CD/DVD package. This is said to be the first concert in a planned long series by X-Level. Can the stuff recorded by / for Roxette be related to that series? It will turn out soon. Again this word ”soon”. Well, Legends Of Rock recorded their thing in April 2013 and at the end of 2014 they were still only planning to release it. Maybe it’s already out since then. So this ”soon” seems to be Per’s soon again. But since there is a new single release soon, then a new album release soon, then (or even earlier) the Roxette Diaries movie release soon, we can just put this X-Level Studios recording on our list of soons. It’s a pretty eXXXciting list anyway, isn’t it? 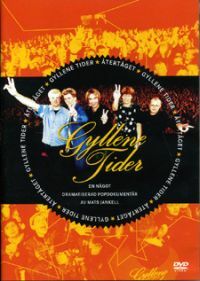 Gyllene Tider’s DVD entered the charts at No. 1! 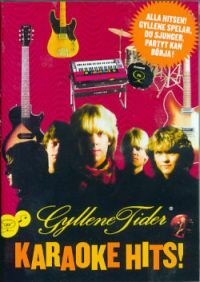 Gyllene Tider’s Dags att tänka på konserten DVD was released on 23rd July and so it’s the first week we can see it on Sweden’s DVD charts. Entered at No. 1! Fantastic news! Here is a little charts history with all the other GT DVD’s. In case you haven’t ordered your Dags att tänka på konserten DVD yet, you can do it at these links: Bengans, Ginza, CDON. Update on 7th August: DVD is still at No. 1, for the 2nd week in a row. Update on 14th August: Still No. 1, for the 3rd week in a row. Update on 21st August: DVD is at No. 2 this week. We all got very excited when Per Gessle posted these two posts on the Roxette official Facebook page on the 17th and 25th of January. With numbers (1, 2, 3…) we marked official VHS/laser disc/DVD releases, with letters (A, B, C…) – TV performances/internet broadcasts that could be counted as full scale gigs. For obvious reasons we have excluded all unprofessional, private and bootleg recordings as well as other single TV performances (playbacks or live). We didn’t count in one or two first songs from concert reports on TV as it’s a usual thing that journalists have access to those from each concert (as long as there are cameras in the arena). We are here for live experiences – ONLY! 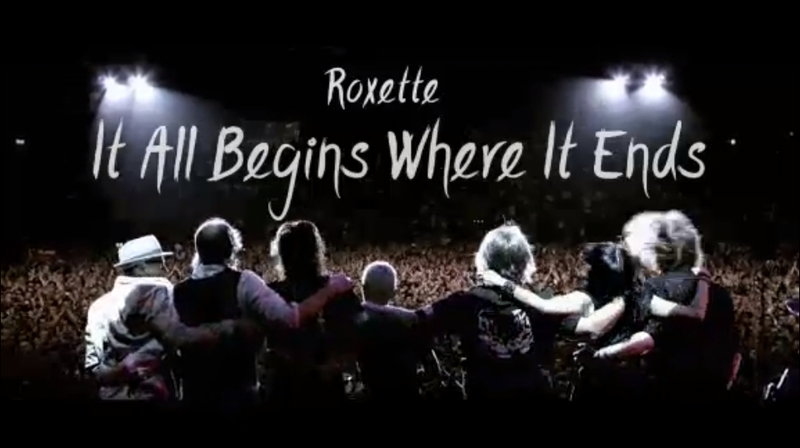 Year 2013 has been a fantastic year for Roxers, Marie fans and GT fans, it’s been fully packed with surprises: GT’s album and tour, Marie’s album and announcement of 2014 tour, to mention just a few. 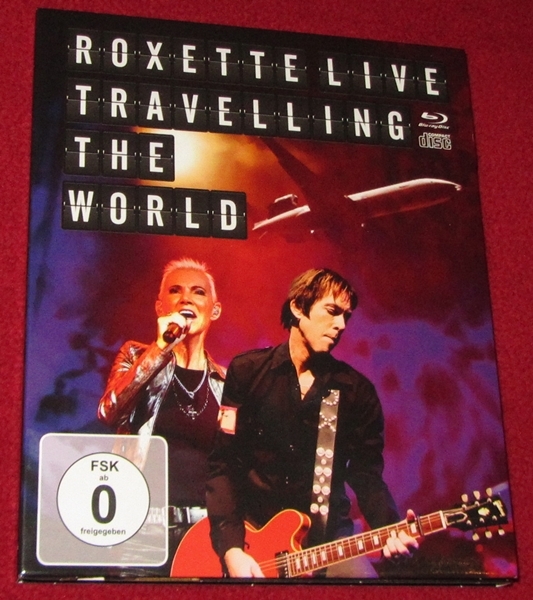 And last but not least, the very first live DVD/blu-ray released by Roxette… so we thought the best way to end this year would be with a contest! 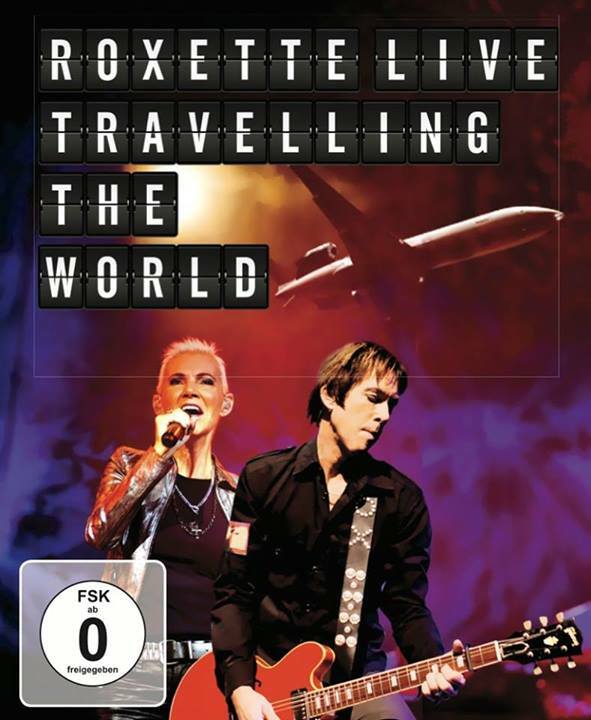 In cooperation with D&D Management and Parlophone, we are giving away 2 copies of Roxette’s blu-ray “Roxette Live – Travelling the World”, which will be out next week (the DVD+CD is out since early December). 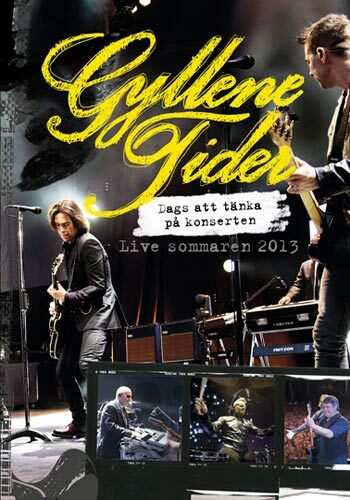 As you know, there are two versions of the live recording: DVD and blu-ray. Both come with a live CD but the are some extras on the blu-ray that you will not find on the DVD. Name one of these extras! Send an email with your name, home address (so we can send the blu-ray) and the answer to the question to judith@roxetteblog.com until December 31st 23:59 CET. The 2 lucky winners will be announced the first week of 2014. Update January 9th: The winners are Rodica Luntraru (Romania) and Andreea Seferian (France). Congratulations! – In order to participate, you have to send an email to judith@roxetteblog.com with name, address and answer to the question. We will consider all emails we receive until the 31st of December 2013, 23:59 CET time. – 2 winners will be picked up randomly among those who have participated and sent the correct answer. – Prizes won’t be paid out in cash. Prizes will be sent by standard mail only once (so basically, if the envelope gets lost.. we won’t be able to send a replacement) by Roxetteblog. 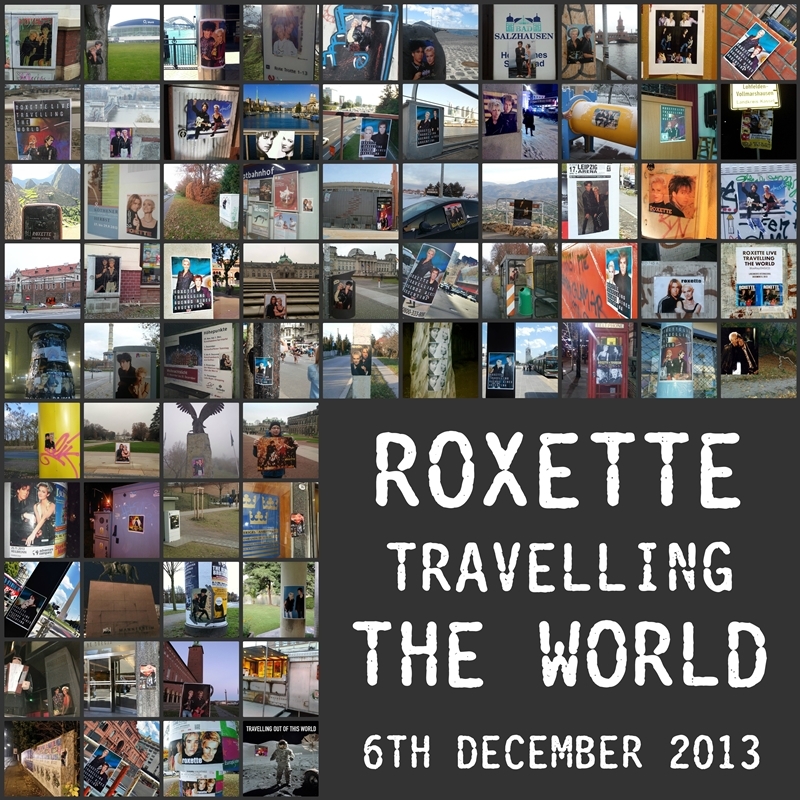 OH YEAH UPDATE: Love those “Roxette travelling” pictures you have posted!!!! It’s a big Rox world out there, right??? Thanx for all your work and keep ’em coming! Have a wonderful Friday night! /P. By the help of the organizers (Sandra Knospe, Christina Dercks, Alexandra Neitzel) an event was created on Facebook for this poster flashmob. Roxers were joining and joining, let their other Roxer friends know about it and started checking their drawers for doubles of their old posters or whether they should buy some on ebay or print one. We also had to think hard where to glue our posters. To public areas, OK, but where exactly. Shop windows? Monuments? Boards? Where? While we were doing our ”job”, all of us were thrilled. Policemen, guards, tourists, people on the streets – they all were watching us. Hopefully no one got arrested. 🙂 Heart was beating faster than usual, hands were shaking as if we were doing something bad. But we just wanted everyone to pay more attention to our beloved power pop duo. And it felt and still feels awesome! 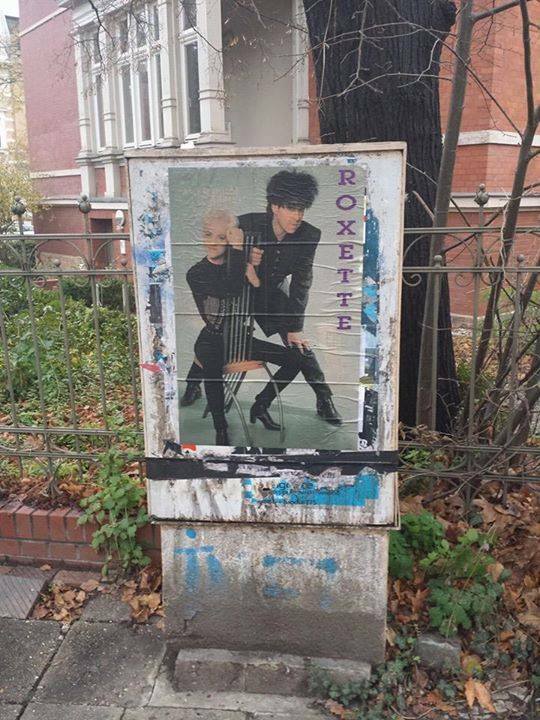 Some posters we even found on Instagram posted by non-Roxers who were surprised to find Roxette posters just around the corner at a not so common place for these beauties and we were happy that it worked. Let’s do it again one day, MAGIC FRIENDS! Thanx for the extra special bonus (= your comment on it), Per! You made all Roxers extremely happy with it. We are incredibly glad that you liked it. Cheers! Ivan Kelava made a fantastic video about the flashmob to remember! I just love it! Enjoy! 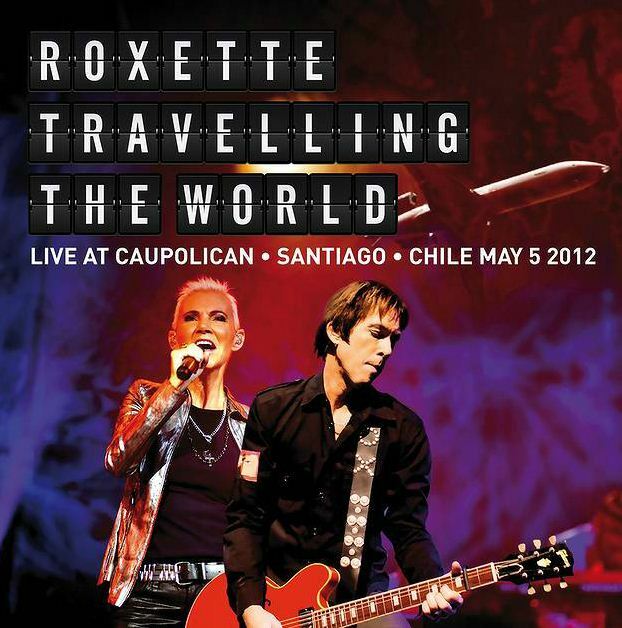 Roxette’s long-awaited DVD and live CD are out! Can you believe that all the SOONs turned into NOW? We’ve been kept waiting so long for this release. Actually, a year. 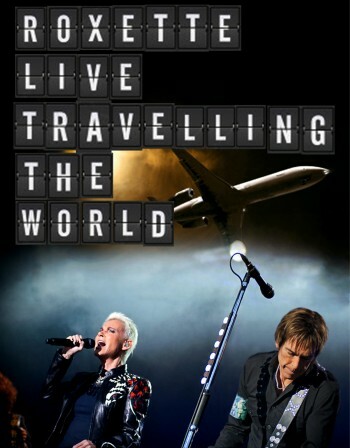 Roxette Live: Travelling The World is now out and we all can relive our wonderful memories. Those who ordered the Blu-ray, which includes some extras, will have to wait a bit more though, as the release date was set to 11th December. It may vary by country. Some Roxers already received their copies from Amazon, but if you’re not among them, you can listen to the tracks and some ”muchas gracias” online at Wimp, iTunes, Spotify or deezer. Order your copy either online or check your local music shops for the DVD + CD / Blu-ray + CD! Thanks to Kathie Winn for finding this out.